PROCEDURE FOR RECORDING "CONFESSION" UNDER SECTION 164 Cr.P.C. An accused himself can appear before a Judicial Magistrate for recording his confession. Such accused person is free to make a voluntary confession before the Magistrate and he need not be sponsored by the Police unlike in the case of a witness or victim. This is a Judge-made law. The only rider is that before recording the confession the Magistrate should be satisfied that the person who proposes to confess is an accused and that investigation against him is in progress. (vide Mahabir Singh v. State of Haryana (2001) 7 SCC 148 = AIR 2001 SC 2503; Jogendra Nahak and Others v . State of Orissa and Others - AIR 1999 S.C. 2565 = 2000 (1) SCC 272; Ajay Kumar Parmar v. State of Rajasthan (2012) 12 SCC 406 = AIR 2013 SC 633). The Magistrate should be satisfied that the accused is not sponsored by the Police and is free from any Police or other extraneous influence. NOTE: One aspect to be borne in mind is that as per Section 26 of the Evidence Act a confession made while in Police custody is not bad if it is made in the immediate presence of a Magistrate. The above provision emphasises the need for warning and caution before recording a confession. In this connection it is pertinent to note that as per Section 29 of the Evidence Act, a confession which is otherwise relevant does not become irrelevant merely because the person was not warned that he was not bound to make a confession. The impact of Section 463 Cr.P.C. also should not be lost sight of in this connection. Voluntariness of the confession being the foundation of a Magistrate's jurisdiction to record the confession, it is imperative that the Magistrate should, before recording the confession, ascertain through intelligent questioning whether the statement is spontaneous and voluntary, or some influence or false impression has been at work to induce him to make the statement. If the accused person who offers to make a confession is in Police custody, he should be removed from Police custody and should be sent to judicial custody. After recording the confession he must invariably be sent to judicial custody and should on no account be returned to Police custody. Recording of confession is a "proceeding" within the meaning of Section 303 Cr.P.C. and hence the accused has a right to consult a lawyer of his choice. Before recording the confession, the Magistrate should, therefore, explain this to the accused. 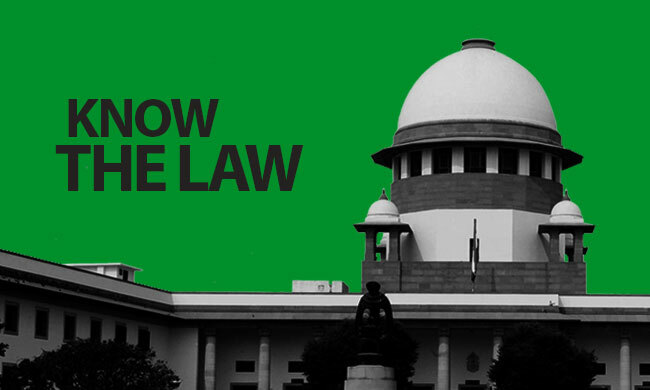 If the accused is poor or belongs to an economically or socially backward class, the Magistrate should inform the accused about his right to free legal aid under Section 304 Cr.P.C. (vide Nandini Satpathy v. P.L. Dani AIR 1978 SC 1025; Kuthu Goala v. State of Assam 1981 Cri.L.J. 424 (Gouhati). Recording of confession should ordinarily be after explaining to the accused the consequences as indicated in (ii) above and after giving the accused person sufficient time for reflection. Generally atleast 24 hours' time should be given to the accused to consider whether he should make a confession. Where there is reason to suspect that the accused has been persuaded or coerced to make a confession, even longer period may have to be given (vide Sarwan Singh Rattan Singh v. State of Punjab AIR 1957 SC 637 = 1957 Cri. L.J. 1014 – 3 Judges (rendered under the old Code). There is no hard and fast rule regarding the time for reflection to be granted for recording the confession. But the time of 5 or 10 minutes granted was held to be utterly inadequate (vide para 184 of State (NCT of Delhi) v. Navjot Sandhu (2005) 11 SCC 600.
ascertain whether the confession was of a voluntary nature . assure the accused that he will not have to go back to Police custody after his statement is recorded. warn him of the consequences which would ensue if the confession turns out to be false. ascertain whether it was in the hope of release that he is implicating himself. Confessional statement of an accused person need not be recorded in camera. But, statements of persons including witnesses and non-confessional statements of accused persons should be recorded in camera (vide Varghese M.U. v. CBI, Cochin 2015 (3) KHC 417 (Kerala).